Now, Gabriel Torrealba at the University of Cambridge and his colleagues have found a new galaxy about 380,000 light years away in the constellation Crater. “It’s the fourth largest satellite of the Milky Way,” Torrealba says. Named the Crater 2 dwarf, the new galaxy is not apparent to human eyes, though individual stars within the galaxy are visible. 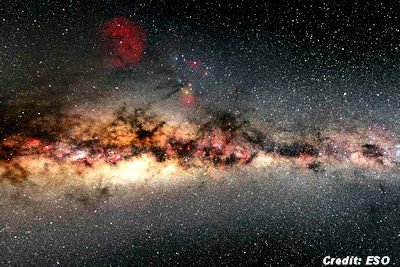 The team were only able to find it this January by using a computer to look for over-densities of stars in data from images taken by a telescope in Chile.